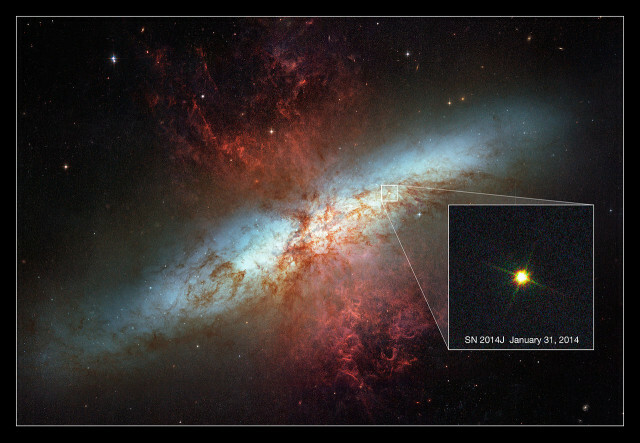 The supernova SN 2014J is a Type Ia supernova first detected in January 2014 in the Cigar Galaxy (Messier 82), in Ursa Major. SN 2014J is the nearest Type Ia supernova event observed in the last 42 years. It reached peak magnitude of 10.5 and was bright enough to be seen by amateur astronomers.